1/21/94 — Jeff Wells’ game winner with 7:01 left in regulation gives the Falcons a 5-4 victory over No. 3 Lake Superior at the Ice Arena. The Lakers build a 3-1 first-period advantage, but BG battles back with the game’s next three goals. The win gives the Brown and Orange a season series victory over the eventual NCAA champions. 1/22/83 — Just two weeks after taking a two-game series from Michigan State for the first time in school history, BG completes a sweep of Northern Michigan, 7-6 in overtime, and uses the wins to share No. 1-team-in-the-nation honors with Minnesota. George Roll sends the game into overtime with six seconds left in regulation. Garry Galley appears to win the game for BG four minutes into overtime; however, the goal is disallowed for his using an illegal stick. Just 2:48 after serving his penalty, Galley scores again. Again the Wildcats ask the officials to check the curvature of the stick, but this time it passes inspection. 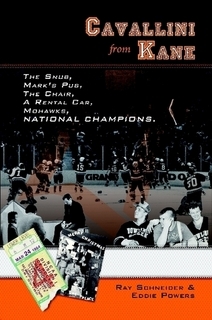 All snippets from “This Week in Falcon Hockey History” come courtesy of the BGSU Hockey Media Guide.